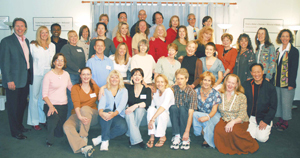 30 Years As A State Licensed Hypnotherapy School! Welcome to the official website for the Hypnotherapy Academy of America™, internationally known as a leader in the field of hypnotherapy education due to our numerous landmark achievements. No previous college credits required to attend our State-licensed hypnotherapy school and clinical hypnosis training. We prepare you for the highest level of certification available, with up to 500 hours of life-transforming techniques. How to Become a Hypnotherapist—by attending our next 500-hour class which begins January 21, 2019, you will be eligible for certification in the field. For registration information please call 505-767-8030. Click here to download class schedule, tuition options and catalog. Flexible schedule. Our accelerated certification course in evidence-based hypnotherapy is held three times a year and is taught in 2-week modules so you can take one module at a time, or do all the modules together for the complete “accelerated” hypnotherapy training. Major Landmark Achievement for Hypnotherapy: The 4-year study funded by the NIH and conducted at the University of New Mexico Hospital utilizing our methodology, is now complete and it was a great success for hypnotherapy. Click on the ‘Research’ tab for details. Now you can learn the methodology we developed for the NIH, which is exclusively taught at the Hypnotherapy Academy of America. Over the last three decades, we have developed a unique, no-nonsense approach, incorporating practical, spiritual and holistic philosophies into one of the world’s most prestigious professional hypnotherapy training courses. One of the primary benefits of learning hypnotherapy here at the Academy is that upon completing our program you are qualified for certification with both the International Board of Hypnotherapy and the American Council of Hypnotist Examiners. 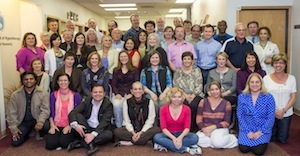 Our hypnotherapy school is licensed by the State of New Mexico Higher Education Department. Approvals include: Department of Labor, Department of Vocational Rehabilitation, the International Board of Hypnotherapy, and the American Council of Hypnotist Examiners. 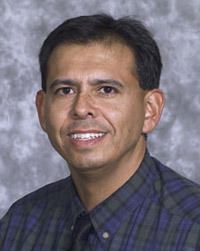 Robert Sapien is a physician and a tenured Distinguished Professor at the University of New Mexico Health Sciences Center. He serves as principal investigator on several research studies and is recognized nationally as an expert in emergency asthma care and school emergencies. Dr. Sapien formerly served as the Chief of Pediatric Emergency Medicine at UNM Hospital. After graduating from the Academy’s medical support hypnotherapy program, he returned as an Associate Instructor and Practical Skills Coach. Dr. Sapien has incorporated hypnosis in the emergency care of children, as well as conducting grand rounds and other C.M.E. in-services on the use of medical support hypnosis. Our Executive Director, Tim Simmerman Sierra is a former nationally registered paramedic and teaches hypnotherapy students effective accelerated healing and pain erasure hypnotherapy techniques. 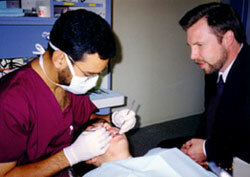 Some applications include hypnodontics, surgery preparation, childbirth with hypnosis and more. There are no other schools affiliated with our school or authorized by us to teach our curriculum or use our name. They say imitation is a form of flattery, but do not assume that anyone using derivations of our brand name, HYPNOTHERAPY ACADEMY OF AMERICA™, are teaching our curriculum, which has been carefully designed over the last 25 years. See “School History” page for more details. 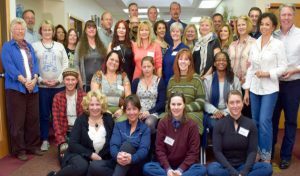 Find out why people have traveled from 30 countries and all 50 states to attend this Clinical Hypnotherapy Training Course. Click here to download class schedule, tuition options and catalog. Now it’s January 2011, Fiona is back at the Academy, completing her post graduate study in Neuro-Linguistic Programming and happily informed us that she is working with 25 plus clients weekly in her full-time hypnotherapy practice! “After I received an in-class hypnotherapy demonstration session from one of the instructors, thirty years of post-surgical back pain is now GONE!